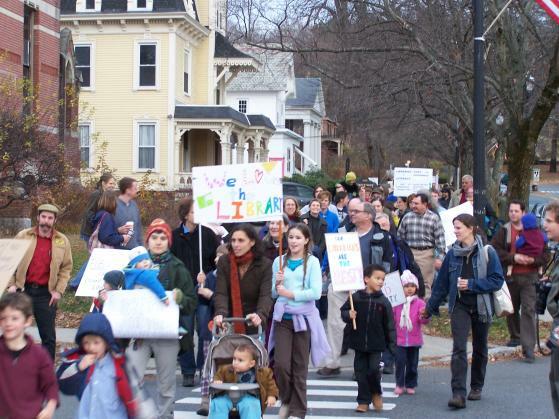 Hundreds of people marched down Main Street to Greenfield town hall November 13 to protest a proposal by mayor William Martin to reduce the public library’s budget by $30,300 this month. 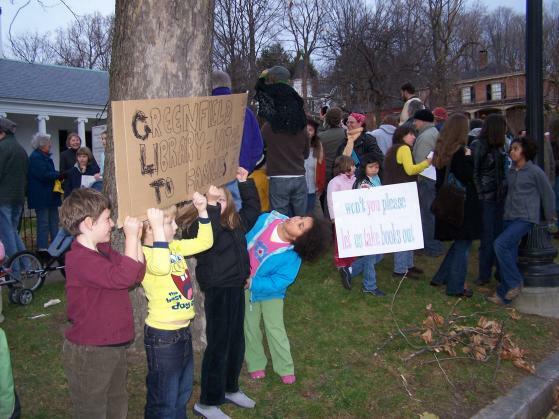 The library recently reduced its hours in response to earlier budget cuts. Another marcher said she relies on the library for books, music, internet access, and a sense of community. The Greenfield town council will hold a public hearing about the mayor’s plan on November 18 at 6 p.m. in the middle school auditorium.